Grandmom gave Cate these bunny ears (from Target’s $1 bin!) when we met her in Paducah last night. 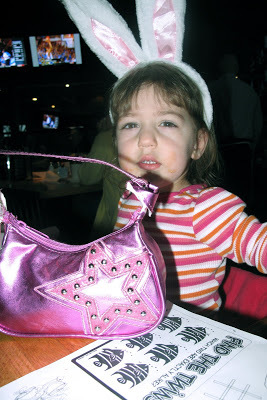 Cate wore them in the restaurant, had them off most of the time we ate, and then put them back on before we left. 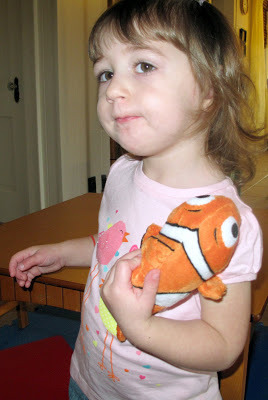 Then Grandmom bought Cate this Nemo (which came along with a noise-making book) when we shopped at Kohl’s last night. Of course, Grandmom, who works at Kohl’s in Louisville, also helped Cate’s spring/summer wardrobe! Cate kept Grandmom (and me, of course!) laughing during her visit last night and earlier today, but here is the best story: Last night in Kohl’s, Cate must have heard Mom (aka Grandmom) call me “Kristin.” But she must not have totally understood. 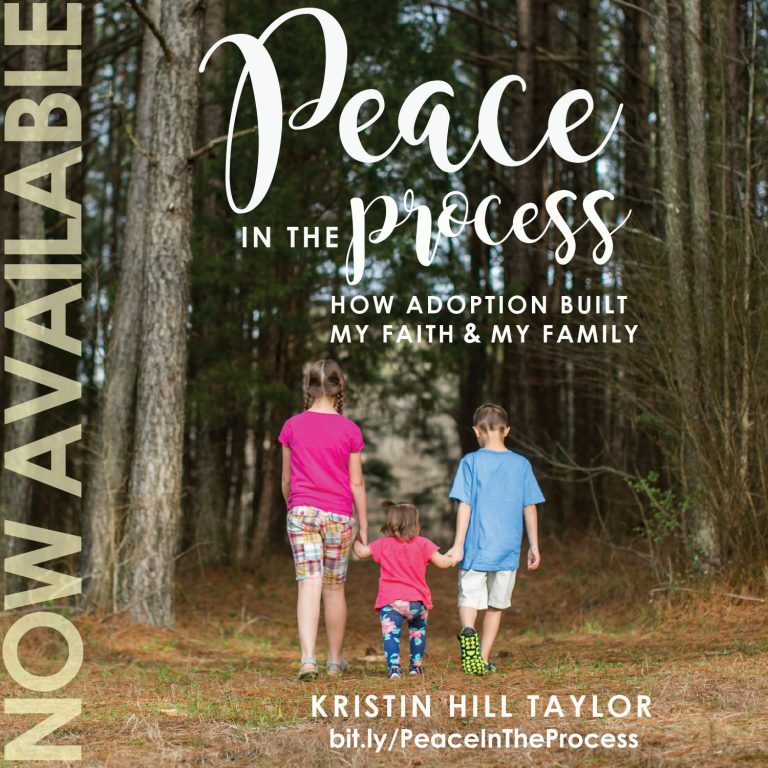 From then on, she called Grandmom “Kristin.” I would correct her and say, “No, that’s Grandmom.” And she’d go with that for awhile. Then we’d hear, “Kristin, push.” Clearly, Cate wanted Grandmom to push the stroller. Cate also overheard me tell Mom/Grandmom that I liked Daisy Fuentes’ clothing line at Kohl’s. As we were walking toward that section of the store to check out T-shirts, Cate said, “Daisy.” Then barked. You see, the only Daisy she knows is a dog. And she’s heard Daisy bark in the background while talking to Jodi on the phone. sounds like you all had fun!! i love it when milla slips and calls kevin – kevin so funny. i guess the whole parents first name thing is strange for kids!! !